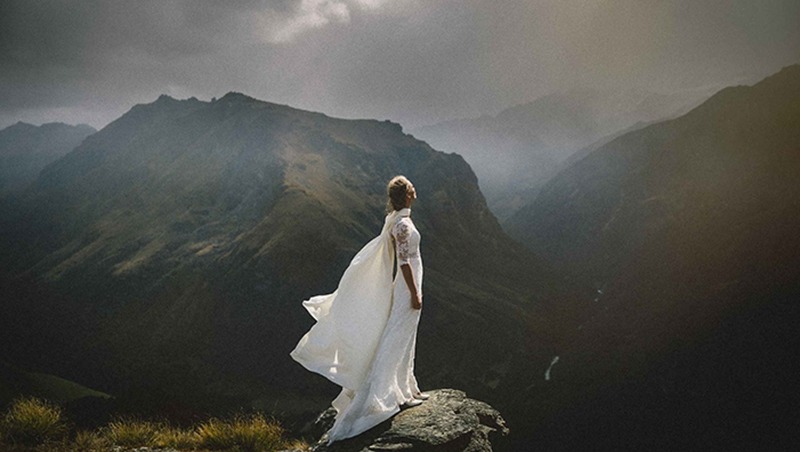 Rangefinder Magazine has announced the photographers selected for their 4th annual "30 Rising Stars of Wedding Photography." The 30 photographers, who have been shooting for five years or less, were selected from more than 200 portfolios worldwide, including submissions from Croatia, France, England, New Zealand, Scotland, Tahiti, and all over the U.S. The images will be on display at the WPPI Conference in March. Each year industry leaders such as photo editors, wedding planners, bloggers, and past rising stars are asked to nominate photographers that they believe would make good candidates. 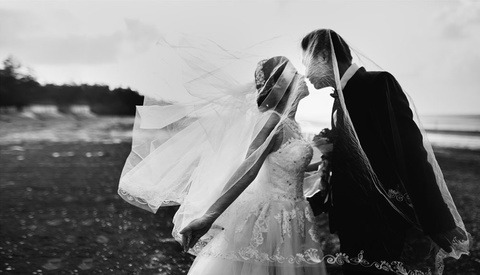 The nominees are invited to submit a portfolio of 30 images that represent key moments throughout the wedding day. Some elements that nominators and judges look for in submissions are real emotion from subjects, uniquely interesting composition and perspective, and a fearless sense of experimentation in their work. "For me, I look for images that take my breath away, have what I call a 'gut-punch' impact and are fresh and timeless," says Editor-in-Chief of Rangefinder, Jacqueline Tobin. The panel of judges dedicated three weeks to viewing and discussing over 6,000 images. 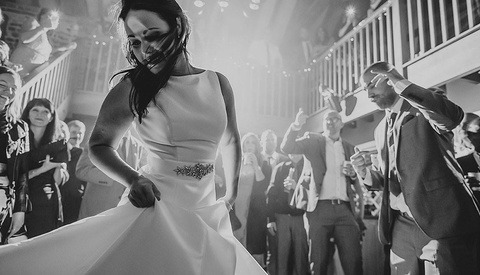 This years "30 Rising Stars of Wedding Photography" includes some amazing work from some truly talented artists. "Being selected as pat of the 30 gives a sense of validation and acceptance in the industry," explains 2015 Rising Star Chris Sansom. Sansom further explains that "Being a part of this special group is the difference between seeing what we do as a job, and seeing it as our passion that we are prepared to pour our heart and soul into." To view this years work, visit the online gallery and check out this months digital edition of Rangefinder Magazine. Sunbather 'Ruins' Wedding Photos by Refusing to Move Out of Shot: Who Is in the Right? Not that my success is measured in recognition, but someday I hope I can get on this list with hard work and images that I'm proud of. Inspiration for sure. Congrats to all the selected photographers! Wanna be a rising star and charge $$$$? Grab yourself 2 bodies, add 35mm and 85mm lens into the mix and possibly a tilt-shift if you're feeling adventurous. Then get a Macbook pro, cook the images via VSCO and voila! Don't forget to expose for the highlights, crush the blacks and crank that fade on max! I kind of agree with you, although I think it's the style Rangefinder obviously likes. But I do love these photographers, much more skill to it than what you've said. Forgive me for agreeing to disagree. Yes there are some photographers on that list whom I have followed for a long time and consider them pioneers in this style of photography, but there is some work which I do not think should be on there, in fact the list should be shorter. Obviously I don't need to remind everyone that these are my opinions and don't take them too seriously. I'm with you there Trushar! I have to agree. 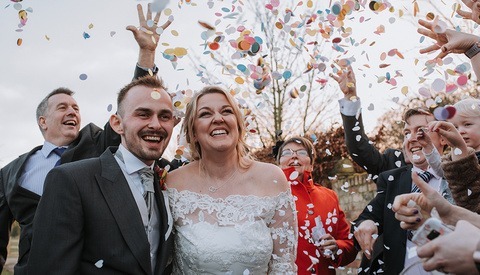 While there's clearly talent here, the sameness of all of the processing, and to an extent, the shooting styles, really doesn't tell the whole story of the wedding photography community. I felt it was very hard to tell the artists' personalities and visions from one another. Nothing against any of the individual artists, really. I was just disappointed not to see more of a variety of tastes. I'm always excited to see wedding photography lists. This one lacked variety in retouching style. I'm not surprised, the newer gen of photographers are all for the VSCO faded style..... Apart from that, great images!